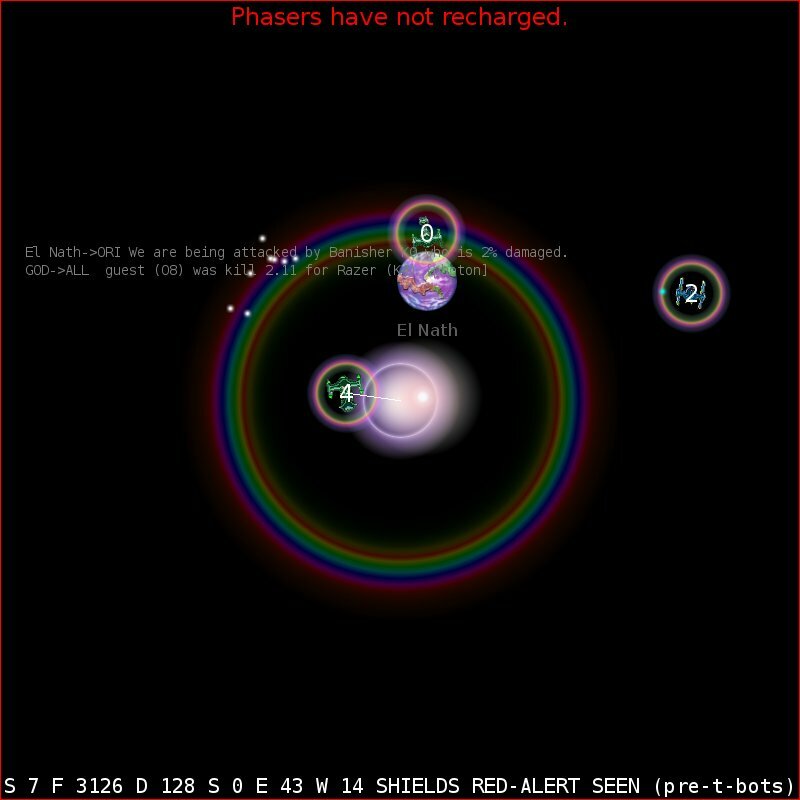 Once you make a kill, and don't die, you beam up armies from the planets you protected, and drop them on the enemy planets that have been bombed. Your team wins when all the enemy planets are taken. Your team loses if all your planets are taken from you. Strategies include escorting, controlling space, and coordinated attacks. 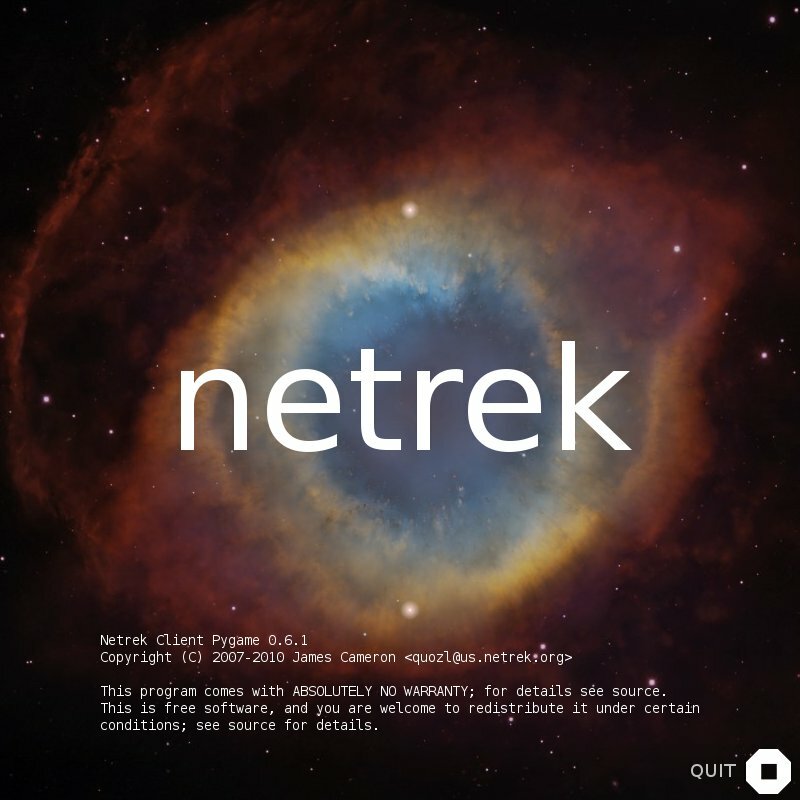 Gytha is a client for Netrek. It is multiplatform, in that it works on multiple operating systems. Download and run the installer gytha-0.7-1-win32.exe. If you are not sure, try 32-bit first. Download and run the installer gytha-0.7-1-win64.exe. None available yet. To contribute a build, please write to me. click on the Applications menu, then the Games menu, and then Gytha. On Linux, no building is required, gytha will run from your copy of the source. Packaging for Linux distributions is welcome, please write to me. For Microsoft Windows developers, see building on windows which was copied from Zachary Uram's page. A splash screen, containing the name of the game, a license, and a rotating icon. During this time the imagery pipeline is stabilised, and graphical assets are loaded. 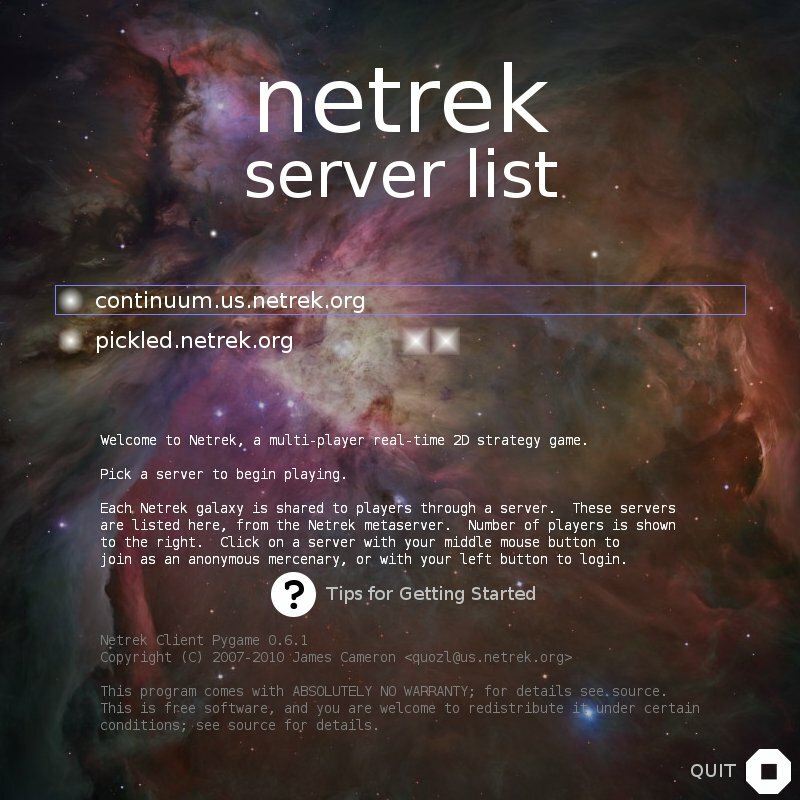 A list of available Netrek servers is displayed, discovered on the local area network, or via the internet based metaservers. Against each server is a number of squares corresponding to how many players are on the server. 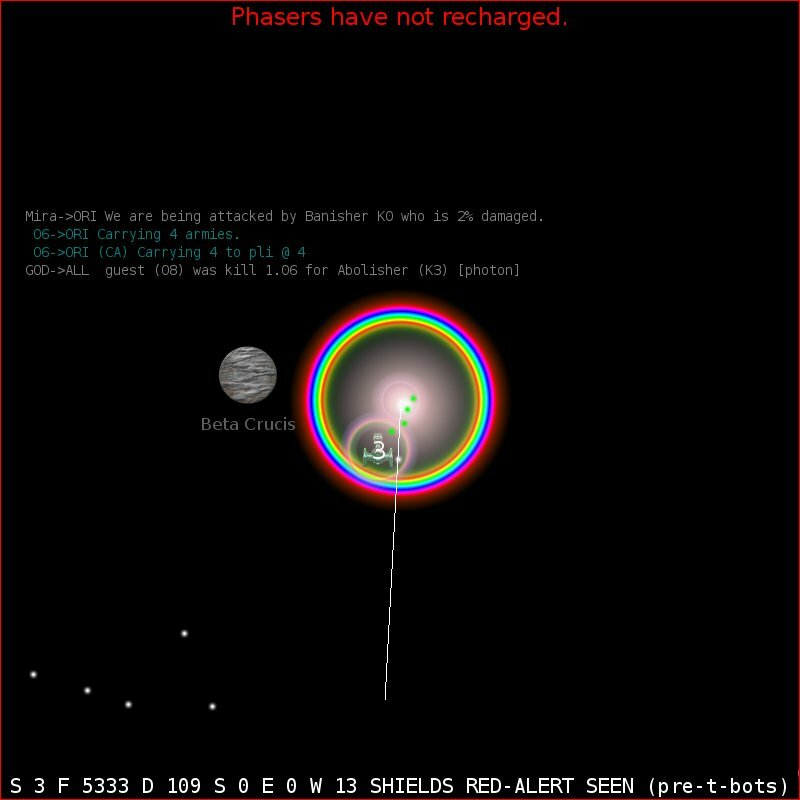 A pair of white objects are in orbit around each other above the list; when they pass close to each another the metaserver is checked again. What you do: choose a server and left-click on it to log in, or middle-click on it to join the game as a guest mercenary. 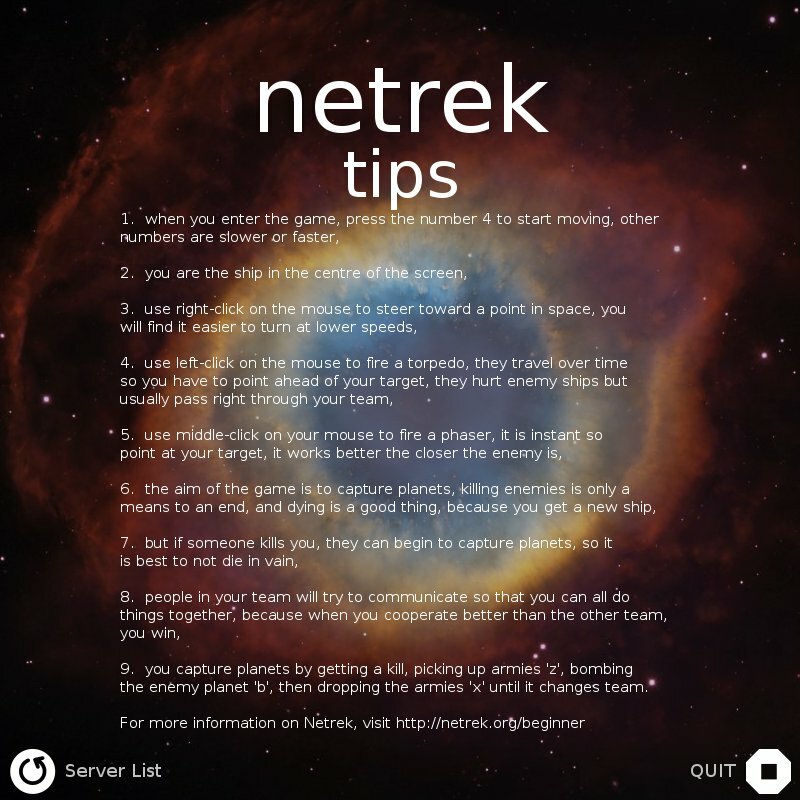 A list of helpful hints, or tips, on how to get started. What you do: read them, then click on Server List. A server login screen. Shows the name of the server you have connected to, the server message of the day, and asks you for your name. What you do: read the message of the day. Type guest and press enter if you do not want your statistics saved, or type a name and password. If someone else has already used your name, you won't be able to use it unless you know their password. 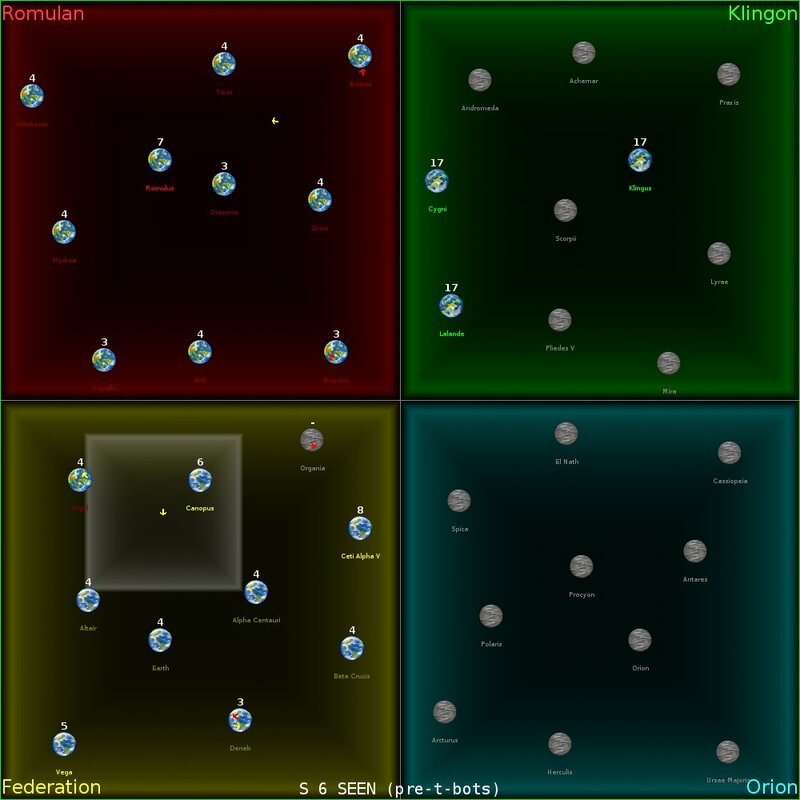 The ship and race, or team selection screen. Shows ships for each team you can join. 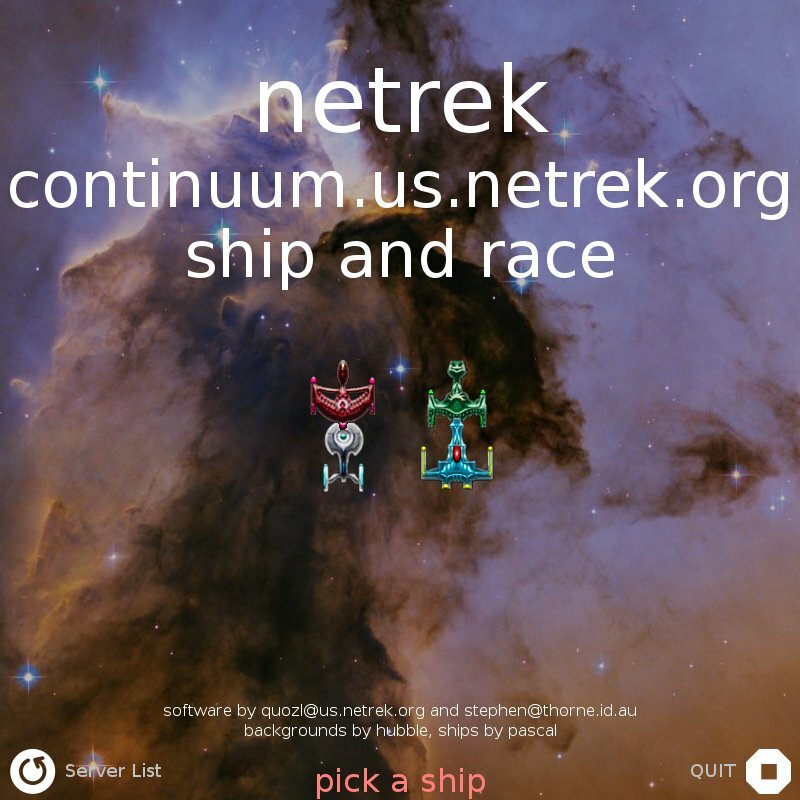 What you do: choose a ship and race by clicking on one of the ships. The ship closest to the centre is the best general ship, called a Cruiser (CA). The others have special improvements and weaknesses. Some ships aren't available on some servers. All ships of the same type are equal regardless of which race or team you choose. The tactical view. Your ship is in the centre. A ring around your ship shows your shields are up. the status line, showing Speed 3, Fuel 6193, Damage 73%, Shields 1%, Weapon Temperature 8, and various flags. What do you: play. Various keyboard keys do various things. See the tips screenshot for more information. Press enter to swap to the galactic view. Your ship is in the centre of the small white box. The other boxed areas are teams or races. The circles are the planets. 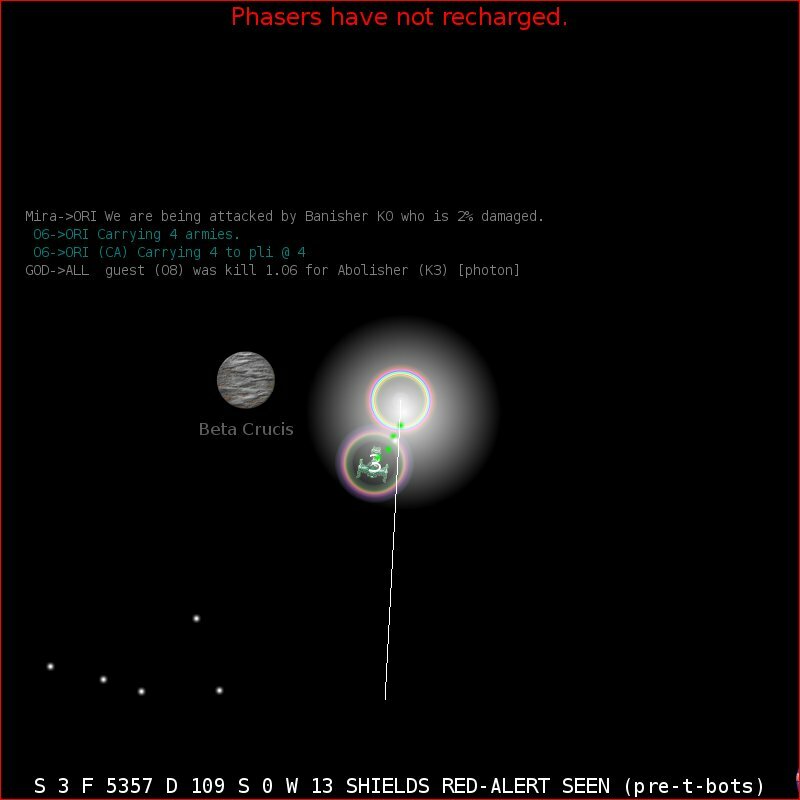 In this screenshot, you goal in the game is to take control of the red Romulan team planets. the other ships show as tiny icons moving about. What do you: play. All the same keyboard and mouse actions do the same thing, just that you can't see as much detail. The white burst is a torpedo that has just exploded, it it has caused your damage to exceed 100%, so your ship has started to explode. 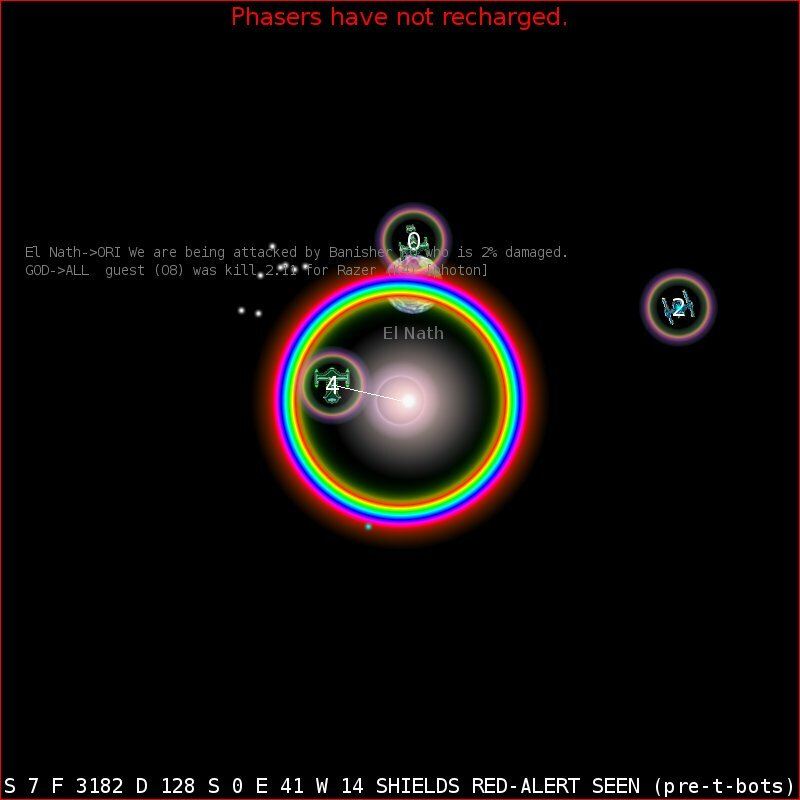 The coloured ring around your ship is the start of the explosion. 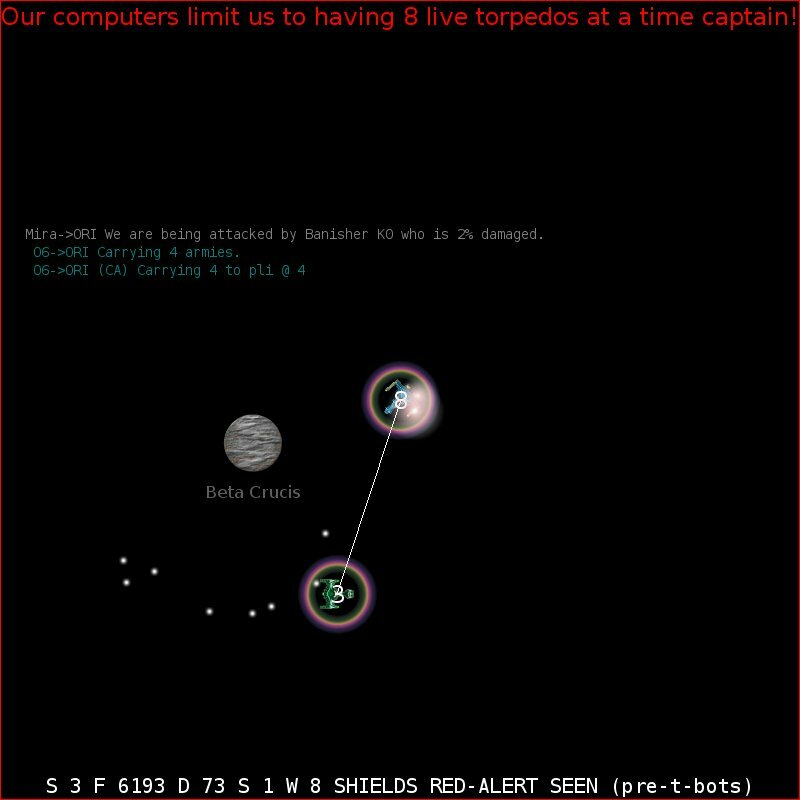 The green dots are more torpedos from the enemy that would have hit had you survived. A short time later, your explosion has engulfed the enemy ship as it expands. This damages the enemy, though not always fatally. Your death is not in vain. You will be returned to the team and ship screen from which you would normally come straight back in with the spacebar. The supply of new ships is endless until your team runs out of planets. 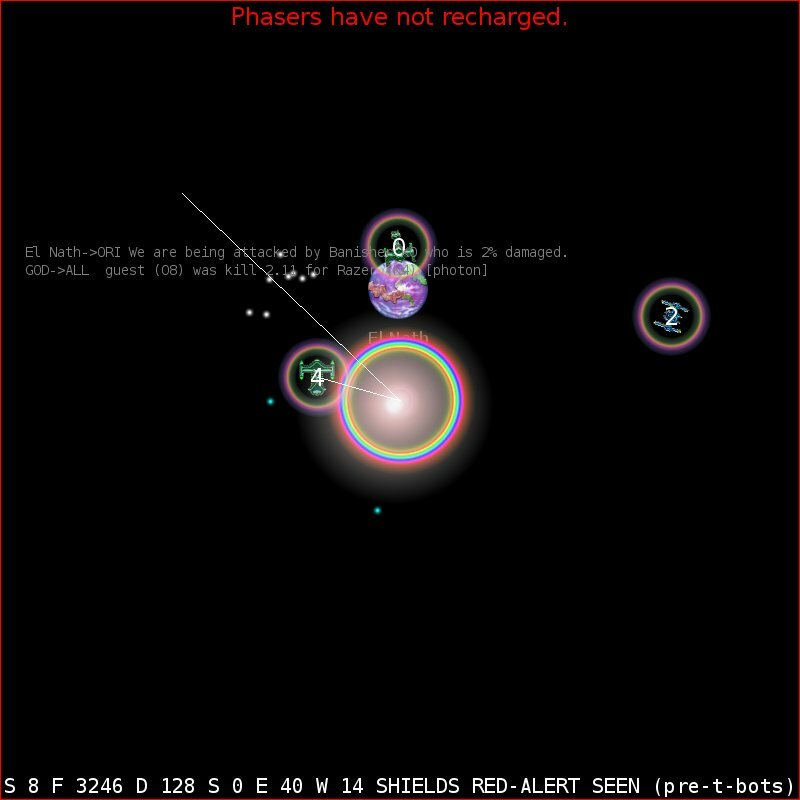 Another three screenshots of a death are below; you have fired a phaser which missed, and the enemy ship number 4 has killed you with a torpedo and a phaser at the same time. That ship is caught in the blast radius and damaged, though not fatally. 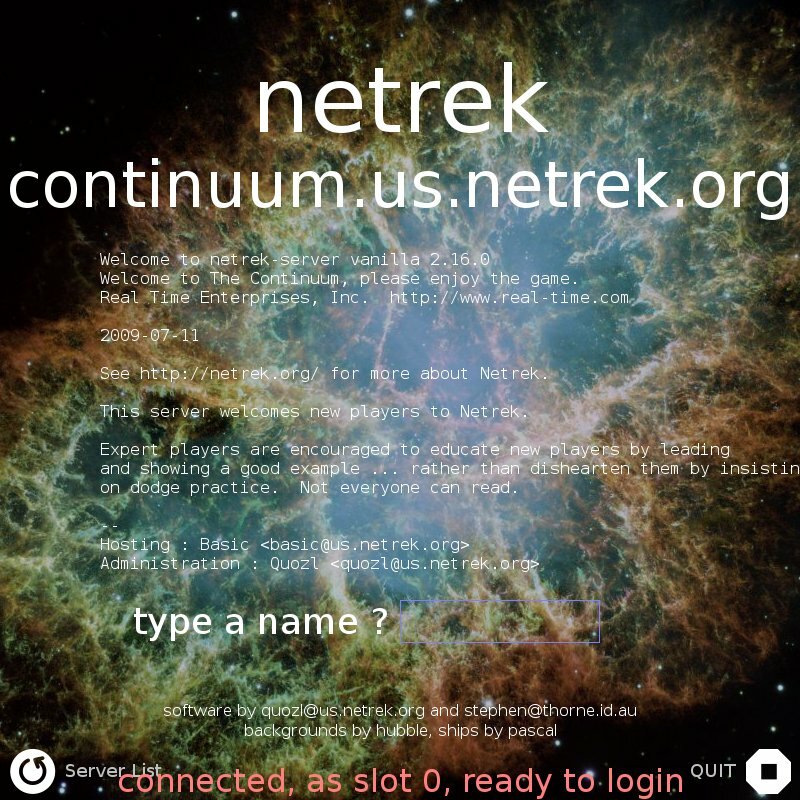 Read the netrek/__init__.py file and start making interesting changes.